In 2008 our designers were contacted by a group of scientists conducting research into a new and non-invasive method of early cancer detection. They were using sniffer dogs to detect changes in the smell of our urine when cancerous cells are present in the body, their results were promising so they asked DEMAND to help speed up the process. This week their research was featured in New Scientist magazine, we are delighted to see the research progressing, nearing a stage where the process could soon be implemented into the screening process for some specific cancers in the UK. Medical research posed a new challenge for us, but such a great cause that we wanted to get involved! 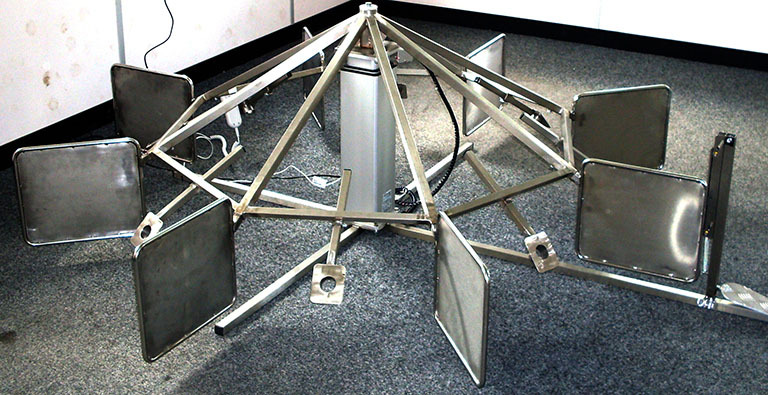 DEMAND built a carousel with 8 sample sniffing stations that would reduce the time taken to set up and run a test. A trained dog is led around the carousel, sniffing each sample in turn and indicating to the handler if they detect the presence of the chemicals produced by the cancerous cells. The carousel even adjusts in height for small or tall dogs to ensure they have a comfortable working day! The trained dogs have such a remarkable ability to detect tiny traces of chemicals that they may be able to detect early stage cancers more accurately than the methods currently used by the NHS. 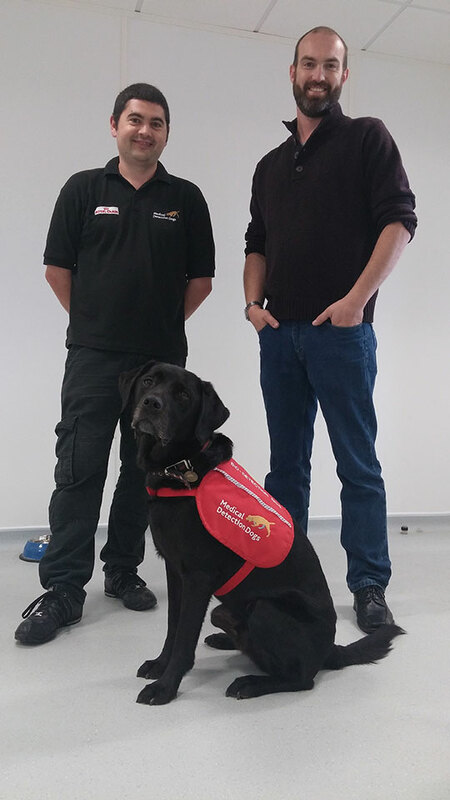 We are thrilled that our equipment is enabling Medical Detection Dogs to carry out their vital research into better early ways to detect cancer reliably.